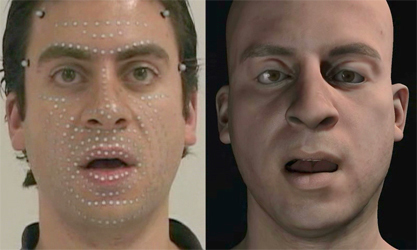 FTS - a Facial Technology & Simulation package will be an open-source, BSD licensed collection of data and algorithms, designed to facilitate the modeling and animation of photorealistic, anatomically faithful muscle-driven models of human faces. 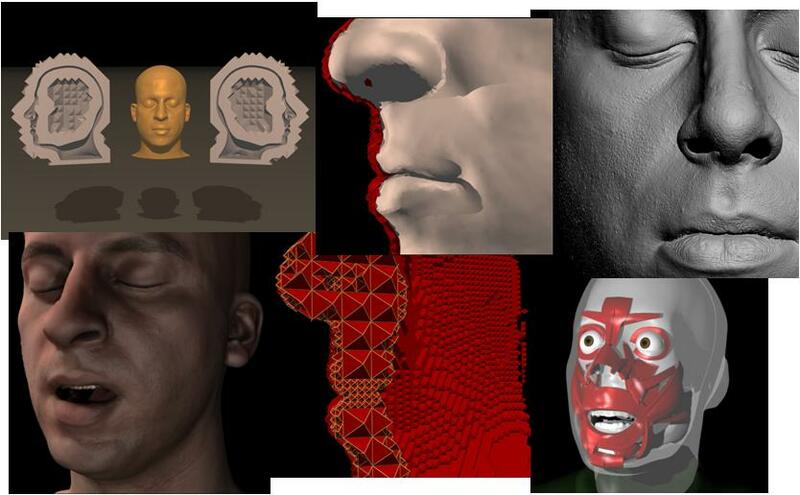 This package will include a host of techniques for finite element modeling and simulation, in addition to a subject-specific human face model, complete with muscles, high resolution surface geometry and 3D medical imagery. What is included in this release, other than simulation code? All anatomical data, surface scans, skin textures, simulation meshes and animation data created for the purposes of the publications listed below will be included in the release. The simulation code itself is more generic in nature than what is strictly needed for simulating facial models, and would be well reusable for the simulation of other anatomical structures, or other soft elastic objects. Any restrictions on the use of this data? The geometric data included in this release can be used for any purpose, and in any context. The high-resolution skin model can freely be used for any task, including simulation, morphing, deformation, slicing, fracture, rendering etc. The code can be alterered and re-distributed in accordance with the BSD software license. Will the code depend on a specific simulation engine? The greater part of this project will leverage the PhysBAM simulation engine from Stanford University. Any components of PhysBAM that are essential for FTS to function will be also freely released under the same BSD license terms. When will this public release take place?